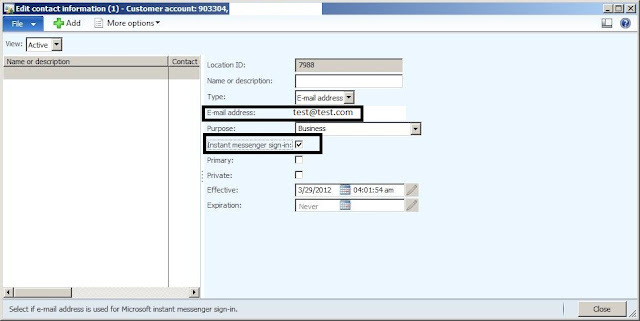 But the Pre-requisites are AX 2012 client should be installed on your machine and you have to be logged into Microsoft Lync / Microsoft office Communicator. Click on New Customer button on the top of the form. Set the record type to 'Person' and fill other mandatory fields and click on Save and Close button. 4. 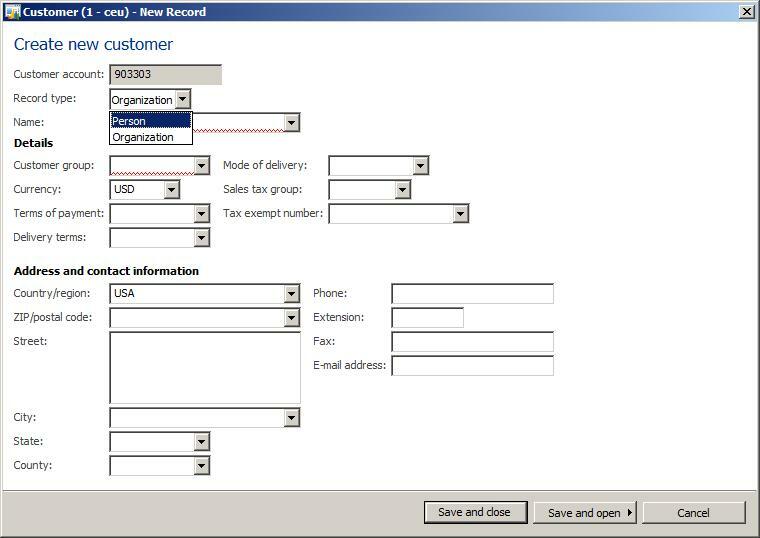 Double Click the newly created customer recordon the Customer master form. 6. Click on 'Add' to create new contact information of customer and fill the e-mail address(Should be accessible through OC/Lync) and mark the option 'Instant messenger sign-in'. The voting for Dynamics Top 100 influential people for the year 2012 has started and luckily I am one of the nominee(1 out of 400 people) in the list. This list is an indicator of people standing for Dynamics Community across all the Microsoft Dynamics products. It is for the first time that I have made to the nominee list and I feel very excited about it. If you think I deserve it and helpful/influenced you through my blog (http://www.MSDynamicsAX.info , A blog dedicated to Dynamics AX community which has 40,000+ page views and 17 followers), my linkedIn group (Microsoft Dynamics AX 2012 which has 2800+ members), my work in the Dynamics community and my passion for AX then show me your support by voting for me(Giridhar Raj Singh Chowhan) and putting me into this years list of Microsoft Dynamics top 100 influential people. 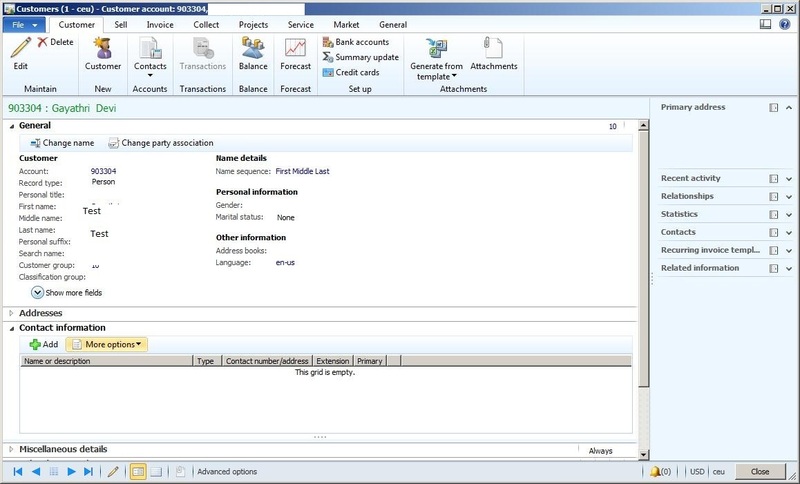 This post is about my experience and steps for installing AX 2012 along with EPand SSRS. I have been planning to install AX 2012 from scratch on my laptop along with SSRS and EP because I was not feeling comfortable with the VPC. In today's post, I would like to explain you about my installation experience. I hope this would help someone who is planning for a single computer installation. I wanted to start this installation from scratch. So, Initially I have installed Windows Server 2008 R2. Created a BCProxy account with an unexpired password account. Installed SQL Server 2008 R2 with SSRS and SSAS which is pretty simple. Installed Web Server (IIS) in Windows Server 2008 for sharepoint(Server Manager->Roles->Add Roles-> Mark on Web Server and click Install). 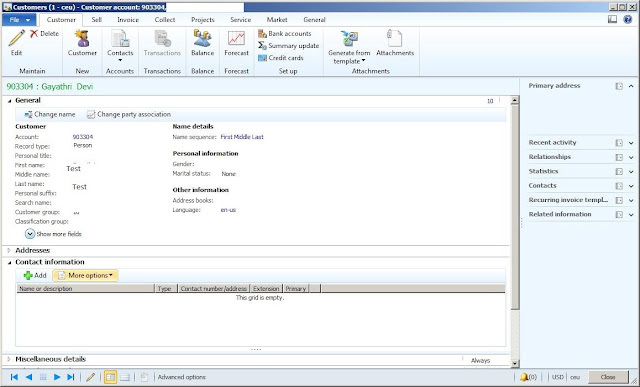 Installed Visual Studio 2010 Ultimate for editing or creating SSRSreports/EP pages. I have also installed Microsoft Office 2010 because it is a pre-requisite for AX 2012 single computer installation as there is some Add-On to integrate AX2012 and Office suite. Now, before starting AX 2012 installation. I have gone through a link (http://technet.microsoft.com/en-us/library/ee355041.aspx) which are some pre-requisites before we install Reporting extensions and based on it i made sure that SSRS URL is working perfectly. During the installation, It was asked for the BCProxy account and its password. I have specified it which has been created in Step 2. Updated AX 2012 with Cumulative update -2. Launched AX 2012 and finalized the installation checklist. 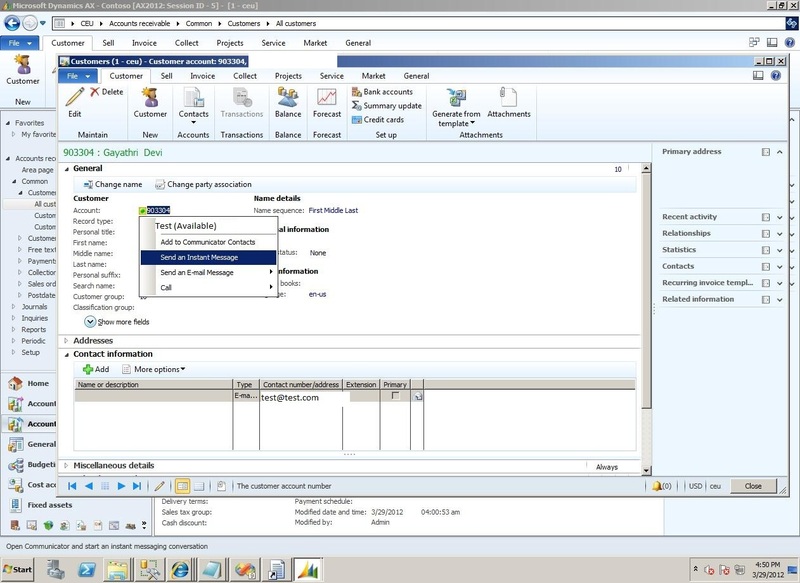 Tested SSRS reports from AX and also Enterprise portal. Both were working fine and finally I have achieved my target. I hope to receive some comments from the people who have followed the above process and installed AX 2012 successfully with SSRS and EP on their personal laptops/PCs. I have and always had a great passion for computing and Information technology since my childhood. Microsoft has always been my dream company because I always believed that this is the only place across the globe which can fulfill all my/anyone’s dreams when it comes to software technology and in the same way, I am very fortunate enough to work on Microsoft technologies since the start of my career. At last, My dream has come true when I joined Microsoft on 9th Jan. The company's work culture and facilities are awesome. I am glad that atlast I have landed into my childhood dream company. Now, I am excited to be part of Microsoft as it gives an opportunity to work with the best brains in the industry in an employee friendly & open culture and to be armed with knowledge of several MS products/technologies.